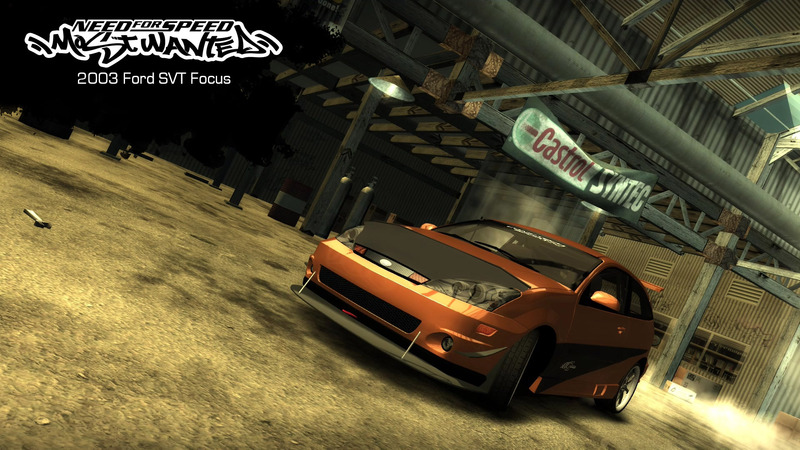 - Hoods: 1-5: Own hoods from FM4; 6-11: NFSMW Style Hoods; 12: Custom Made; 13, 20-24: w/ Roll Cage. - Vinyls: All 155 slots, 512x and 1024x texture packs available. - Custom performance data: Stock: 265 KM/H (305 KM/H w/o Rev Limiter); Fully Upgraded: 377 KM/H (427 KM/H w/o Rev Limiter). - Vanilla "Paul" driver model from NFS Most Wanted. - Please report if you see any other issues. IMPORTANT: If you have NFSMW Mod Loader, remove it. This mod WILL BREAK Mod Loader compatibility. 2) Open NFS-VltEd. When the main window appears, select File > Open from the menu bar. 3) A new dialog will appear. Choose your game installation directory. 4) Select File > Import > ModScript from menu bar, or press "Ctrl+I". 5) Select the "_Focus-Setup.nfsms" from the dialog and click OK.
6) Mod script installation dialog will appear. Click Install to install the mod. 7) Save the files by selecting File > Save from menu bar, or pressing "Ctrl+S". - Note: It's recommended to reinstall the car with every new update. But when you do that, VltEd may show some errors. You can safely ignore them. 1a) If you downloaded the newest version from the link, extract "NfSMW - ReCompiler.exe" from it into "ReCompiler" folder. 1b) If you used the tool before, copy the contens of "ReCompiler" folder into yours. 2) Run the tool using "NfSMW - ReCompiler.exe" file. 4) The files should get created in the folder you used the tool. 6) Copy the files into corresponding locations in your NFSMW Installation directory. - LANGUAGES: Chinese.bin, Danish.bin, Dutch.bin, English.bin, etc. 7) If this is the first mod you are installing, copy the contents of "Unlocked Memory Files" folder into your NFSMW Installation directory. 8) Run your game and create a new save game. - Or you can somehow add the car into your car lot. - Protip: Find B02FFF5BB02FFF5B01 in game memory and replace it with 614EEF0F614EEF0F01. 9) Enjoy your new car! * Fixed "no such target found" issue in NFS-VltEd. * Fixed VerbalType. Cops won't call the car as a Renault anymore. + Added brake mount points for stock tires, so they are now in the correct position. - Arushan for NFSMW Mod Tools, which lets us transfer any car model into the game. - ASC for a modified version of NFSU2/MW Texture Compiler by nfsu360, which is used to compile a 512x vinyl texture file. - DMN for 2003 Ford SVT Focus, extracted from Forza Motorsport 4. - [email protected] for BinViewer, which lets us tweak the mount points. - Make Davis and JYSB59 for Forza Studio 4.6, which can export Wavefront .obj files and textures from Forza car files. - MWInside for ReCompiler, which lets anyone add some data into their favourite racing game. - nfsu360 for NFS-VltEd, NFS-TexEd and NFSU2/MW Texture Compiler, which make modding the game just easier. - Oleg Melashenko for ZModeler v1.0.7a, v2.0.7 and v2.2.5, where most of the conversion work is done. - Zvott96 for telling me about brake mount points. - nlgzrgn for NFSMW Unlimiter and converting the car. © 2018 nlgzrgn @ ExOpts Team. No rights reserved. @Zvott96, thanks! In video, I realized that brakes overlap some aftermarket rims. I got them back a bit after recording the video. But this time, stock ones have gotten really far. This will be in my mind if I update the car.